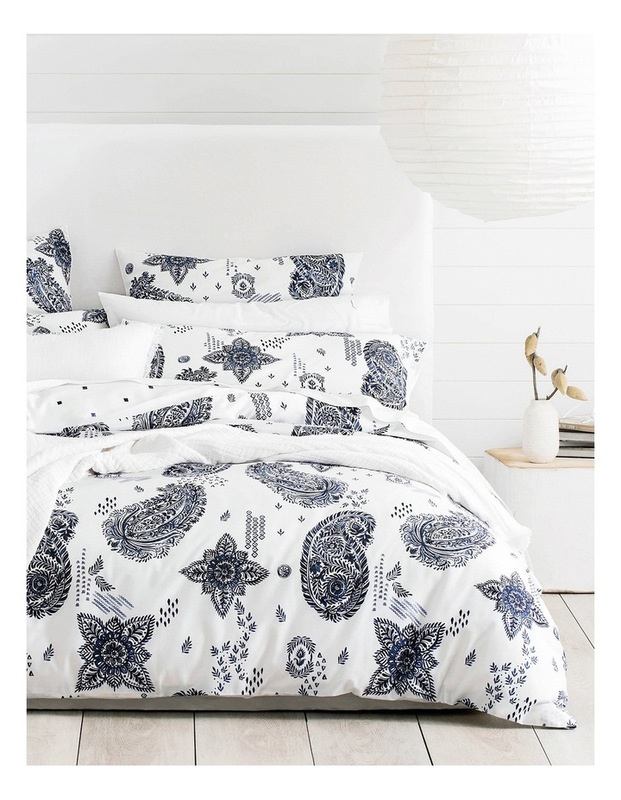 Morey Reef Queen Standard Quilt Cover Set. This striking paisley design was inspired by the coral found at the Morey Reef in Queensland. Hand-painted in our Sheridan Sydney Design Studio, the combination of water colour techniques and detailed pattern work showcases the skill of our in-house artists. The intricate detailing of our Morey Reef design creates an interesting and contemporary update your bedroom space.